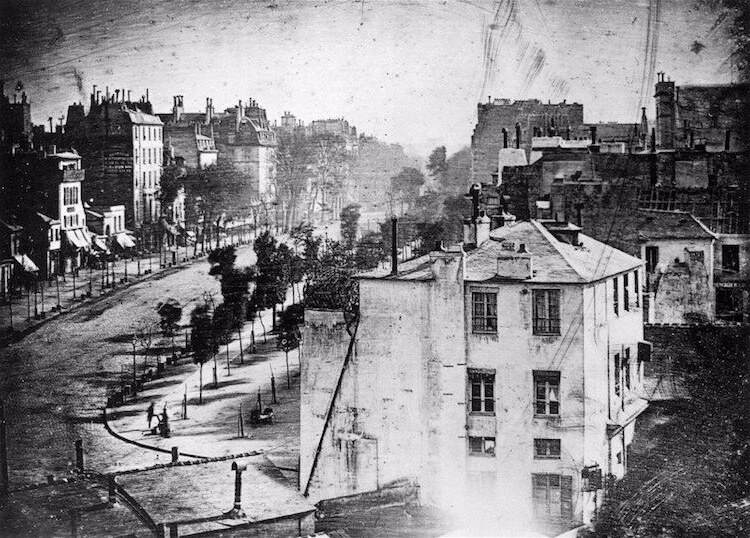 The first ever photograph of Paris in 1839 was taken by Louis Daguerre on the boulevard du Temple. There is a shoe shiner in the left-hand corner. This is one of the oldest photographs, where the first ever photo of human being is captured. Today photographers travel around the world, taking photos of beautiful cities. But there was a time when photographs of city centers were a rarity. With the invention of photography in the 19th century for the first time it became possible to capture the surrounding landscapes. French photographer Louis Daguerre improved the daguerreotype process. The process required printing images on the copper plate covered with silver and a long exposition. That is why the early photographs of town show mostly the landscapes, without any visible human presence. LOS ANGELES (1860). 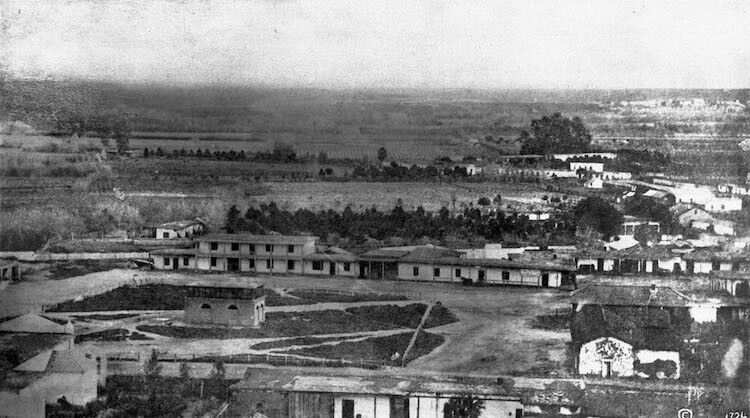 This earliest photo of Los Angeles was taken around 1860. In the bottom-side of the photograph one can see Plaza Church, which was built in 1822. LONDON (1839). 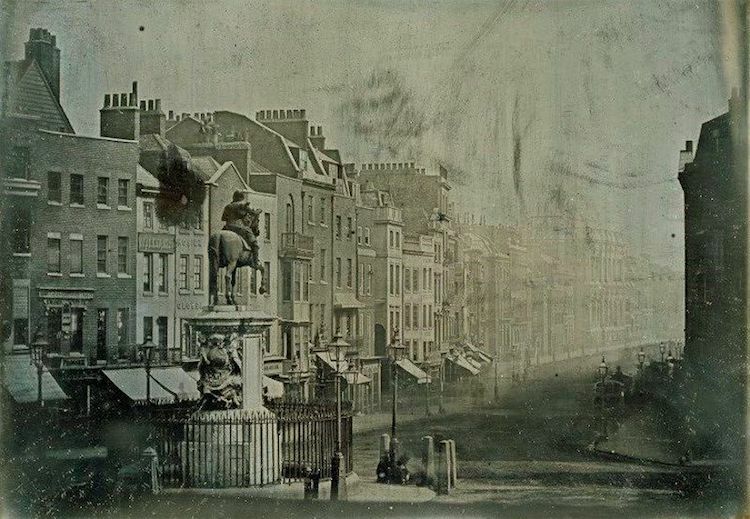 Showing Parliament Street from Trafalgar Square, this early photograph of London was made in 1839. JERUSALEM (1844). 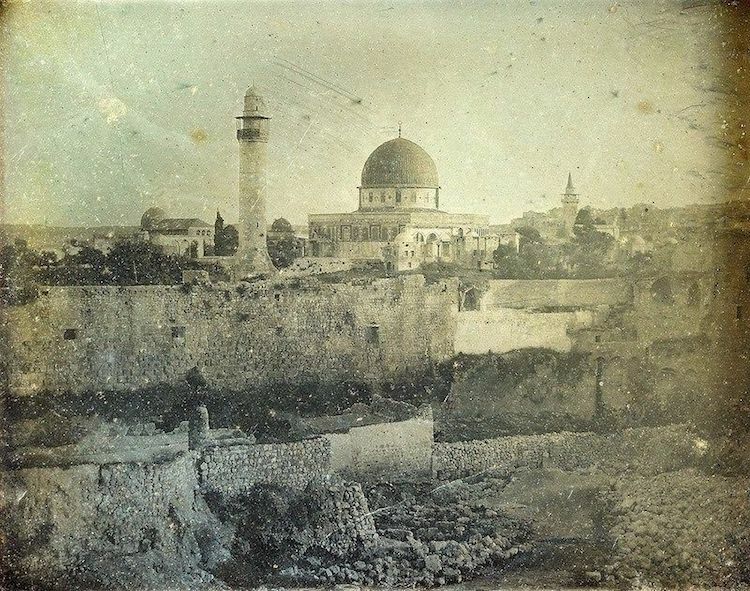 French photographer Joseph-Philibert Girault took this photograph of Jerusalem in 1844. An early travel photographer made a trip to the Middle East, Italy, and eastern Mediterranean from 1841 to 1844, shooting more than 900 photographs during the journey. TOKYO (1866). Approximately in 1866 an Italian-British photographer Felice Beato took this panoramic picture of Edo, now Tokyo. Taken from the hill in Atagoyama hill, it gives a wide perspective of a city, which has significantly changed due to natural disasters and a war. NEW YORK (1848). An Upper West Side of Manhattan looks now not the way it is used to be, as seen on the daguerreotype made in 1848. In a picture, which was offered at the auction several years ago for 62 500 USD, is shown a farmhouse on a hill with a road, which now is situated on Broadway. ATHENS (1845). These two views on Athens in 1845 show the city, which significantly distinguishes from a current urban expansion. A famous Acropolis is one the right-hand photograph, while an image on the left-hand side depicts a hill with a marble stadium, build for the Olympic games in 1896. BOSTON (1860). 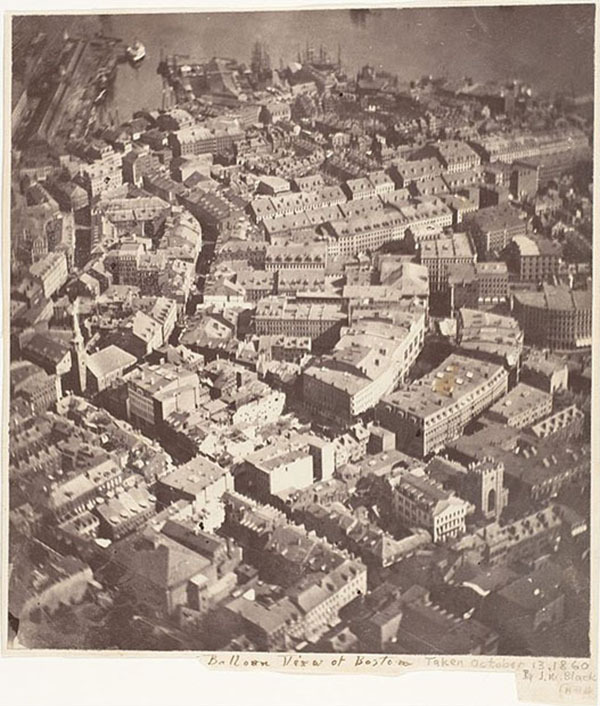 This aerial photograph of Boston in 1860 was taken from an air-balloon. 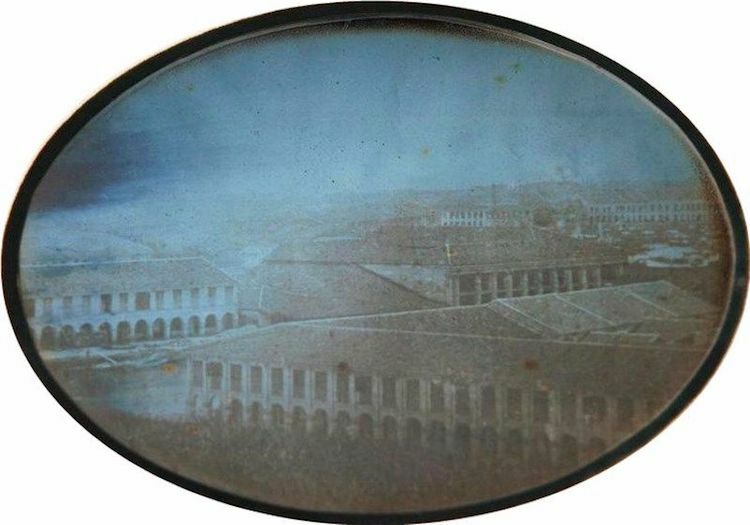 This is the oldest image of the city and the earliest airphoto. IN MORE DETAIL: The first 16 photographs in the history – from the oldest photograph to the first Instagram in the world. EDINBURGH (1848). 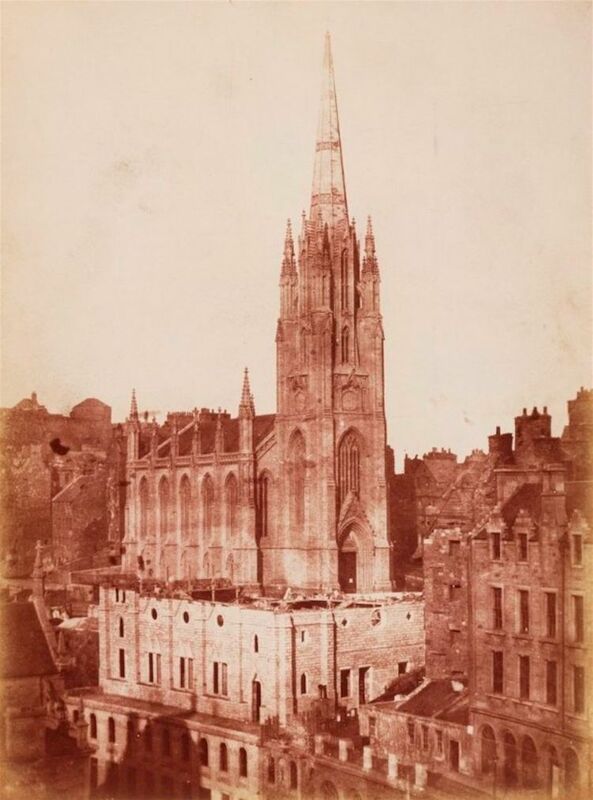 This photograph of a former Assembly Hall and Talbooth Church on Castlehill dated back to 1848 is the earliest known photograph of Edinburgh. SYDNEY (1855). 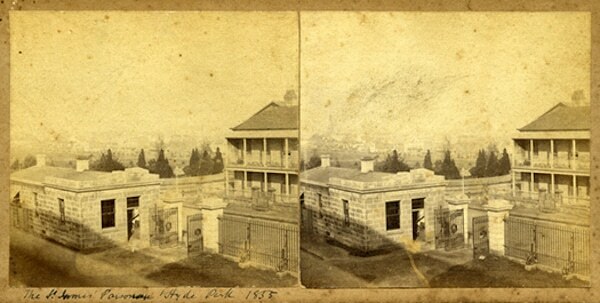 In 1855 photographer Robert Hunt took series of stereographs, which are one of the first photographs of Sydney. In this photograph Saint James Parsonage on the Macquarie Street is depicted. 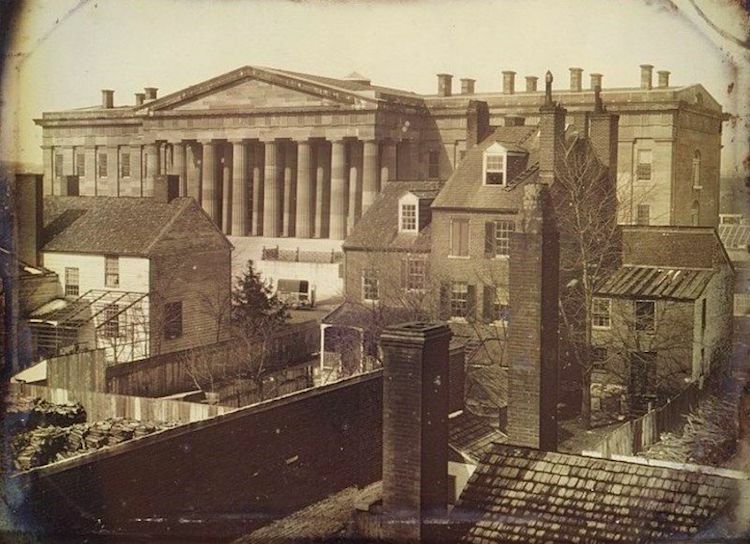 The photograph was taken from the Mint Building, built in 1811. ROME (1842). The Colloseum in the centre of this panorama dated back to 1842 allows to recognise Rome. The shot was made from the 125-foot Trajan’s Column. PHILADELPHIA (1839). 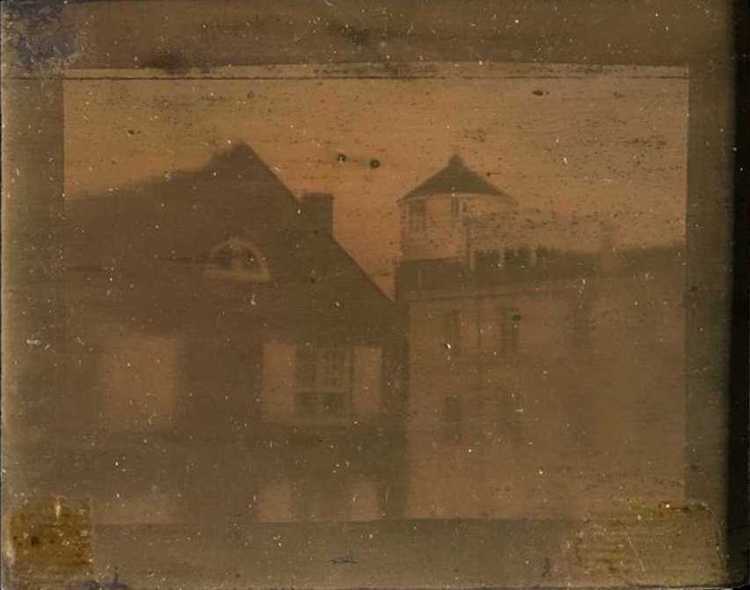 The oldest photograph of Philadelphia is also the oldest photograph of the USA, survived until the present time. It was taken by Joseph Saxton in 1839, making a 10-minute exposure of the Central High School at Walnut and Juniper. SINGAPURA (1844). 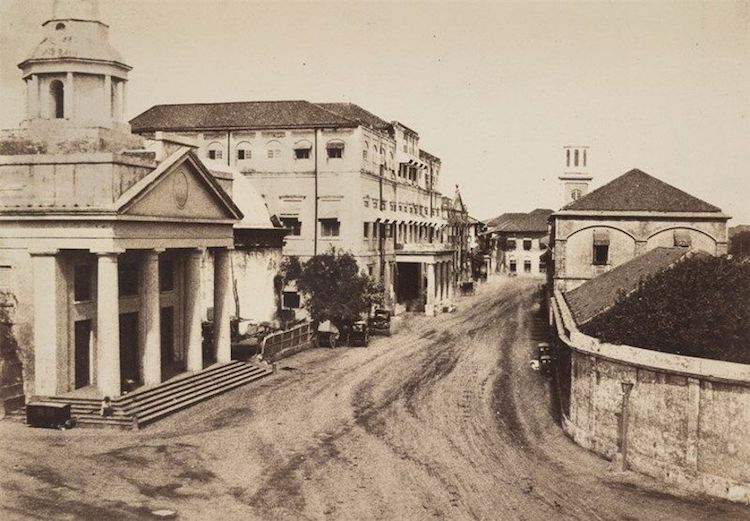 Alphonse-Eugene-Jules Itier, an officer at French customs service, took this early picture of Singapoure in 1844 from the Government Hill, currently known as Fort Canning. WASHINGTON, DC (1846). 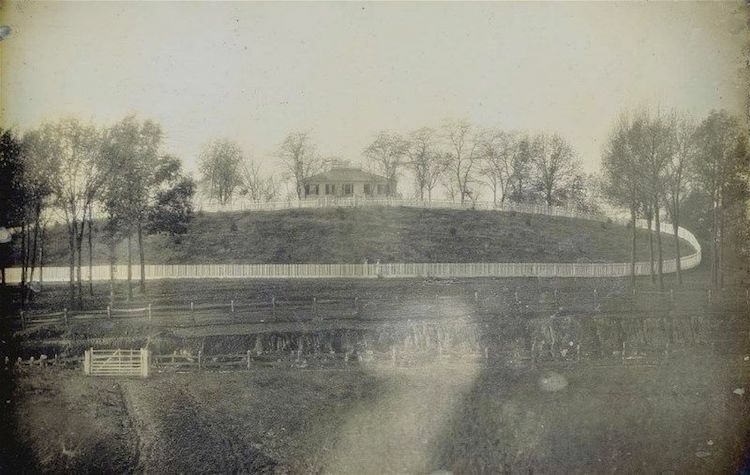 One of the earliest photographs of Washington, DC. This photograph made in 1846 shows an Old Patent Office. Now these premises are taken by the National Portrait Gallery and a Smithsonian Museum of American Art.